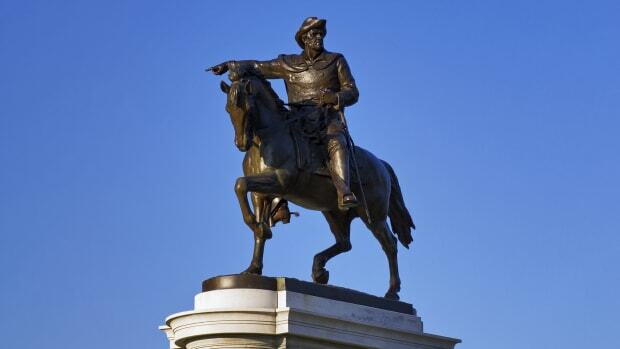 Born in Virginia, Sam Houston (1793-1863) became a lawyer, congressman and senator in Tennessee. 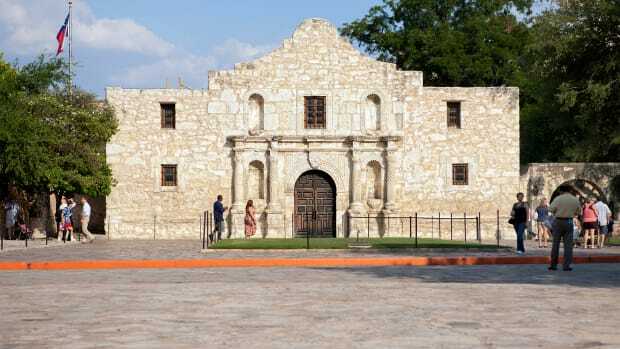 After moving to Texas in 1832, he joined the growing conflict between U.S. settlers and the Mexican government and became commander of the local army. 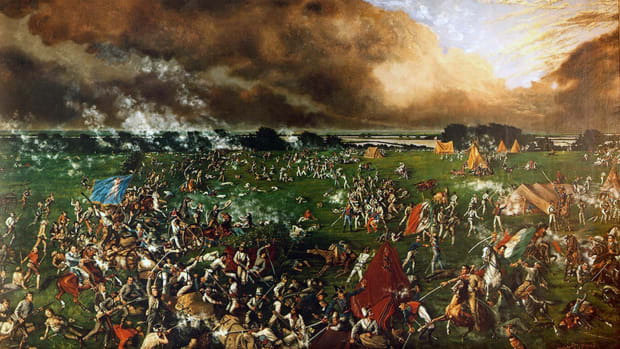 On April 21, 1836, Houston and his men defeated Mexican General Antonio López de Santa Anna at San Jacinto to secure Texan independence. 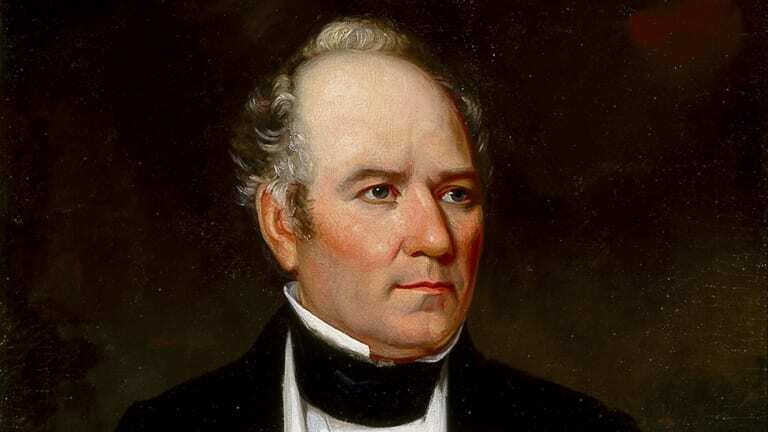 He was voted president in 1836 and again in 1841, then served as a senator after Texas became a state in 1845. Despite his pro-slavery views, he believed in preserving the Union. He became governor in 1859, but was removed from office after the secession of Texas in 1861. The traits that distinguished Sam Houston in Texas would be evident well before he settled there. He spent time among the Cherokee as a youth in East Tennessee, acquiring his distinctive familiarity with Indians. His service during the War of 1812 demonstrated his military ability and attracted the attention of Gen. Andrew Jackson. Houston became a Jackson protégé and, later, a Jacksonian politician. 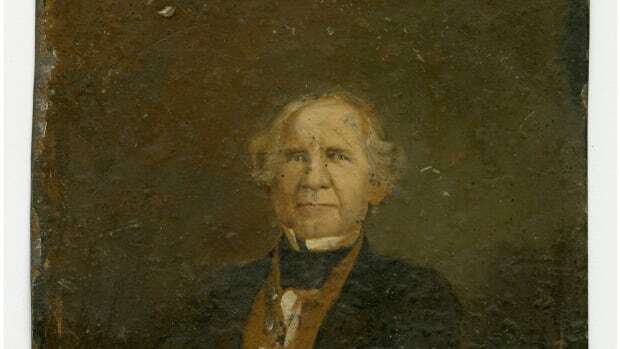 He represented Tennessee’s Seventh District in Congress for two terms before being elected governor in 1827. Resigning suddenly in 1829 after the collapse of his marriage, Houston spent several years with the Cherokee in Indian Territory. Houston journeyed to Texas in 1832. Interested in land speculation and negotiating with Texas Indians on behalf of both the Cherokee and the United States, he was at the time and afterward accused of also intending to promote, with Jackson’s encouragement, a Texan insurrection against Mexican rule. Whatever his original motives, Houston quickly became involved in the growing protest against Mexico. After armed struggle commenced in 1835, a provisional government appointed Houston commander of its army. He was at Washington on the Brazos when independence was declared on March 2, 1836. 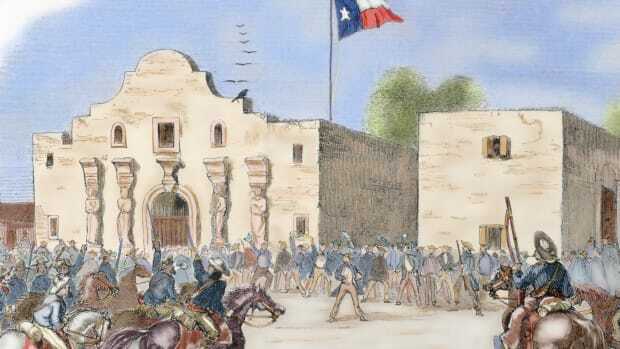 Shortly thereafter, the fall of the Alamo compelled the small force Houston led to retreat eastward from Gonzales, trailed by panicked civilians. 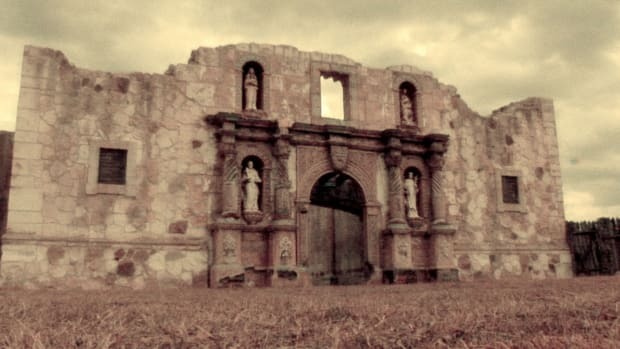 But at San Jacinto on April 21 his men secured Texas independence by destroying a Mexican army and capturing its commander, Mexican president Santa Anna. The politics of the Texan republic revolved largely around Houston. Texans elected him to nonconsecutive presidential terms (1836-1838, 1841-1844). In the interim he served in the legislature. As president, Houston avoided open warfare with Mexico, despite provocations on both sides, and reduced governmental expenditures. He halted warfare upon Indians. The degree to which Houston shared many Texans’ enthusiasm for American statehood is unclear. After the United States spurned annexation in 1837, Houston courted England and France, hoping either that American anxieties over European encroachment would encourage annexation or that Europe would guarantee Texas independence. The Tyler administration finally moved to annex Texas during Houston’s second term. The annexation of Texas and the winning of territory in the consequent war with Mexico accelerated divisions over the future of slavery in America. But, as Texas senator (1846-1859), Houston was a leading voice against sectional agitation. Although an unapologetic slave owner, Houston, like his mentor Jackson, insisted that the Union in all cases be preserved. He was the only southern senator to vote for every measure of the Compromise of 1850 and was one of only two to oppose the Kansas-Nebraska Act. Increasingly at odds with other southern Democrats, even in Texas, Houston gravitated toward the Know-Nothings. Attracted by their unionism, he also endorsed their nativism. Houston’s fortunes hit bottom in 1857 when his gubernatorial bid failed and the legislature voted not to return him to the Senate. Houston managed to win the governorship in 1859. 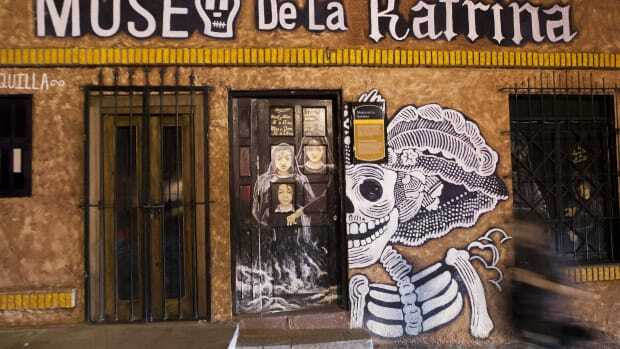 But his hope that sectional tensions might be diffused and his own career advanced by the establishment of a protectorate over Mexico came to naught, as did an effort to secure the Constitutional Union party’s presidential nomination. Over Houston’s opposition, a state secession convention met in January 1861. After a popular vote endorsed secession, Houston accepted Texas’s leaving the Union but rejected any affiliation with the Confederacy. The convention deposed him and, rather than accept federal military support, Houston retired. 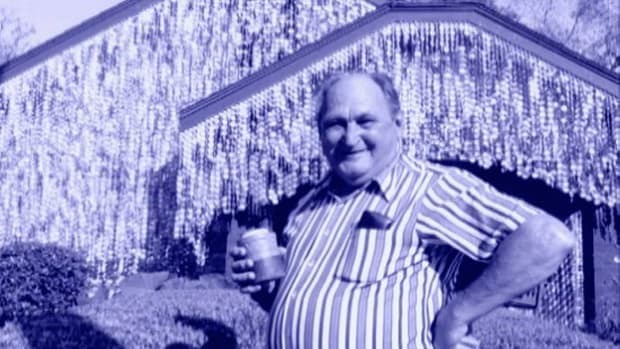 He died in Huntsville, Texas.